Adaptive and Fault-Tolerant Control of Underactuated Nonlinear Systems | Free eBooks Download - EBOOKEE! Posted on 2018-04-18, by perica123. The purpose of the book is to provide an exposition of recently developed adaptive and fault-tolerant control of underactuated nonlinear systems. Underactuated systems are abundant in real life, ranging from landing vehicles to surface ships and underwater vehicles to spacecrafts. For the tracking and stabilization control of underactuated mechanical systems, many methodologies have been proposed. However, a number of important issues deserve further investigation. 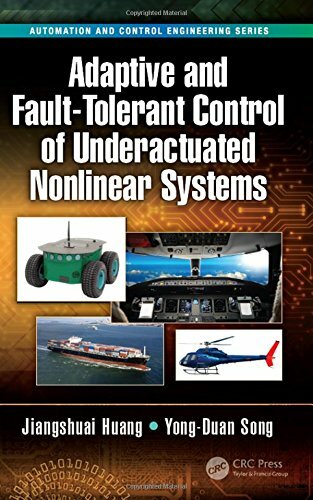 In response to these issues, four important problems are solved in this book, including control of underactuated nonlinear systems with input saturation, output-feedback control in the presence of parametric uncertainties, fault-tolerant control of underactuated ships with or without actuator redundancy, and adaptive control of multiple underactauted nonlinear systems, including formation control and flocking control of multiple underactuated systems. If you like my post leave "thanks" or click on like button. No comments for "Adaptive and Fault-Tolerant Control of Underactuated Nonlinear Systems".